MOSSEL BAY NEWS - Calling all music lovers! 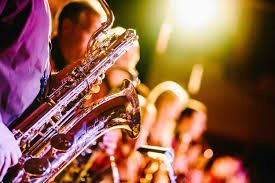 The annual 'Bravo Lounge All That Jazz Festival' takes place from 26 to 28 April at the Garden Route Casino in Mossel Bay. On Freedom Day, Saturday 27 April, as part of the festival, Craig Lucas, winner of The Voice South Africa Season 2, will be in action. Tickets at R150 each are available from Computicket. Together with Lucas, the Southern Cape Diva, Petronel Baard, as well as the winners of the previous two years of the Battle of the Jazz Bands, Prerogatives from George, will be in action. Fans can look forward to some fun promotions and lots of prizes during the whole All That Jazz weekend. The Battle of the Jazz Bands hits the stage on Sunday, 28 April. The competition is now in its fifth year and bands from all over the Southern Cape and Klein Karoo will take up their instruments and showcase their talent. Which band will walk away with the title? The spot is wide open as the previous winners, Prerogatives (2017 and 2018) will not be competing this year. Maybe a Mossel Bay band will top the leader role or will it be a band from outside the Southern Cape? Rumour has it that the bands from Beaufort West are full of confidence that it might be their turn this year. However, no one will be able to tell before the battle starts. So you need to be there to experience this battle for yourself. Bands that want to enter must make sure they do so before 12:00 on Wednesday, 24 April. The fee is R100 per entry and bands need to include at least two old school jazz songs as well as a mandatory song (jazz version) of Queen’s Crazy Little Thing Called Love. Only two vocalists per band will be allowed. The first prize is R7 000 cash as well as a video, sponsored by Philip Vermaak of VHM Productions. This year the runner-up prize has been increased to R3 000, with the third band receiving R1 500. There are also prizes for the best instrumentalist as well as the best vocalist. Apart from the jazz bands on the Sunday and Craig Lucas on Freedom Day the Garden Route Casino is hosting a whole weekend of entertainment. There will be a beer garden as well as rugby on the Saturday afternoon. On Friday, 26 April there will be the very popular Karaoke Idols. From 20:00 the lounge will light up to the voices of local karaoke singers. Some of the previous winners of the annual Karaoke Idols will also be in action. The grand prize is a promotional video by VHM Productions. Entry is free and anyone can try their luck. The evening promises to be a blast. For more details contact DJ Foxx (084 956 0690). And then it is the Battle of the Jazz Bands on Sunday, 29 April from 14:00. Entry is R70 and the competition promises to wow you with some of the best jazz bands around. Bands that wish to enter can contact Hamish Cairns (044 606 7777 or hamish.cairns@tsogosun.com).